Blessingbourne Estate came into the Montgomery family by marriage to the Armar family in the early 18th century. The builder of Blessingbourne was a man of taste; Hugh De Fellenberg known as “Colonel Eclipse”, Montgomery, grandfather of Captain Peter Montgomery. Blessingbourne originally belonged to the Armars and came to the Montgomerys in the eighteenth century when Elizabeth Armar married Hugh Montgomery, of Derrygonnelly Castle in Fermanagh. The first Montgomery to live at Blessingbourne was another Hugh, who was born in 1779 and known for some reason as “Colonel Eclipse”. His portrait, which he gave to his old school, Eton, shows him to have been very handsome., yet he was unlucky in love. But his bachelorhood ended after a few years, for he married a Spanish girl and had a son. His son’s godmother was Lady Byron, who remained a close friend and was greatly attached to his sister Mary, a key figure in the development of Blessingbourne. It descended in the family to Peter Montgomery, Vice-Lord Lieutenant of Tyrone, who died childless, after which it passed to a cousin. 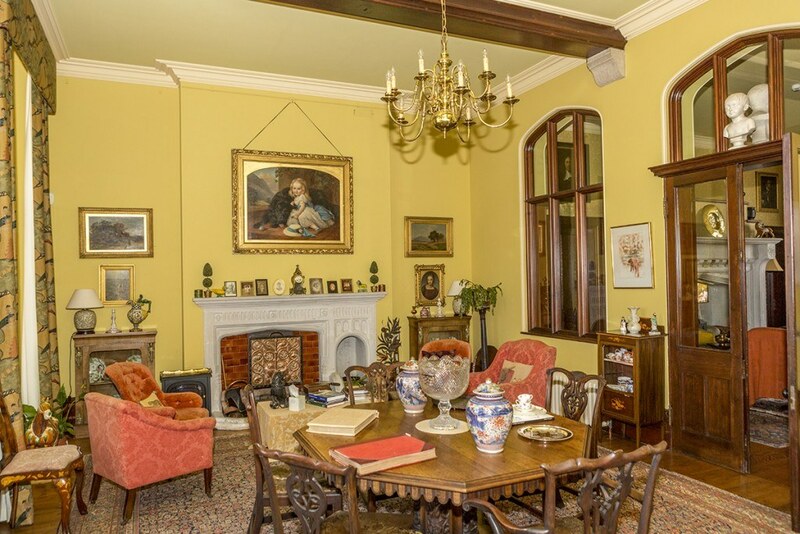 The property was ultimately inherited by Captain Robert Lowry, a direct descendant of Colonel Eclipse, and now belongs to Colleen and Nicholas Lowry.